We ship to all US 50 States and all of Canada, for other destinations contact us for shipping rates at sales@georgiaexpo.com or 1-800-433-9767. For GA residents we offer local pickup. A lot of our products are large/bulky. Please ensure you have a large enough vehicle when picking up. If you are unsure, please contact us at sales@georgiaexpo.com or 1-800-433-9767 with your order number so we can let you know how much space to have available. 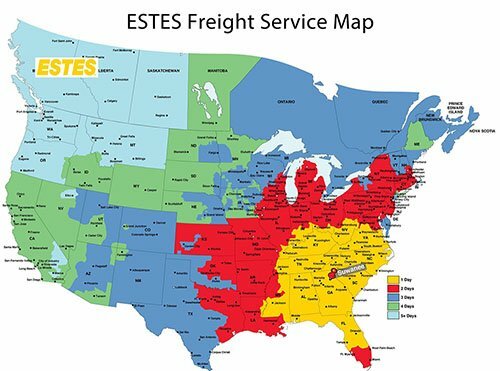 We offer FedEx Ground®, FedEx Home Delivery®, FedEx 2Day®, FedEx Standard Overnight® and for larger shipments FedEx Freight Priority® and ESTES Freight. If you require a different service level please contact us at 1-800-433-9767 to take your order over the phone. 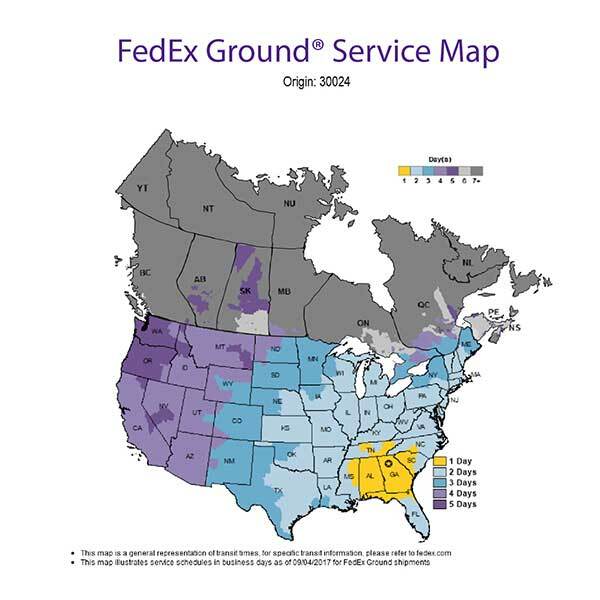 Below are the FedEx Ground®, FedEx Freight Priority® and ESTES Freight transit day maps so you can see your estimated transit time from our location, zip code 30024. 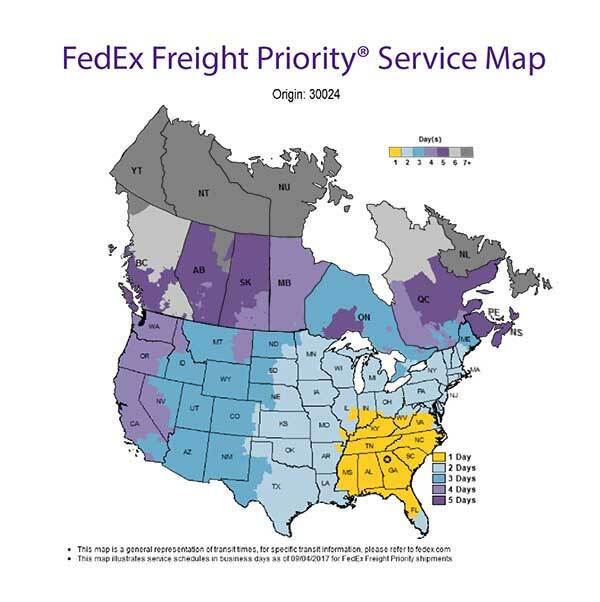 For FedEx 2Day® the transit time is 2 days from the day it leaves our location with an est. delivery 4pm. For FedEx Standard Overnight®, the transit time is 1 day from the day it leaves our location with and est. delivery by 3pm. Please note when shipping international, we will clear customs through a FedEx Trade Networks Transport & Brokerage, Inc., if you’d like to use your own broker please contact us at 1-800-433-9767. International shipments are quoted door to door, including all brokerage, duties and fees. Most of our drape and fabric products are sewn to order. Please allow 1-3 days production on your order. If you have a rush order, please add a note at checkout and we’ll do our best to accommodate your request. If our production schedule is full we’ll contact you to explore expedited freight or alternative product options. Please note that orders placed after 4:30 EST or over the weekend will be released to production the next business day. For our local GA customers, we offer customer pick-up. Please note all orders must be picked up within 10 business days from order confirmation or they will be refunded and re-inventoried at a 25% restocking fee. Custom or made to order items, like drape, will not be refunded. If you need us to hold your order longer, you can arrange that with a sales rep for an additional fee of $25/day, please contact us at Sales@GeorgiaExpo.com or 1-800-433-9767 with your order number. Please view our entire Customer Arranged Transportation Policy for all information regarding pick-ups. Please order EARLY, shipping delays can occasionally occur through no fault of Georgia Expo’s due to inclement weather, carrier delays, and other unforeseen problems. An order can also take longer to arrive than the transit time quoted by a shipping company without being considered “late”. 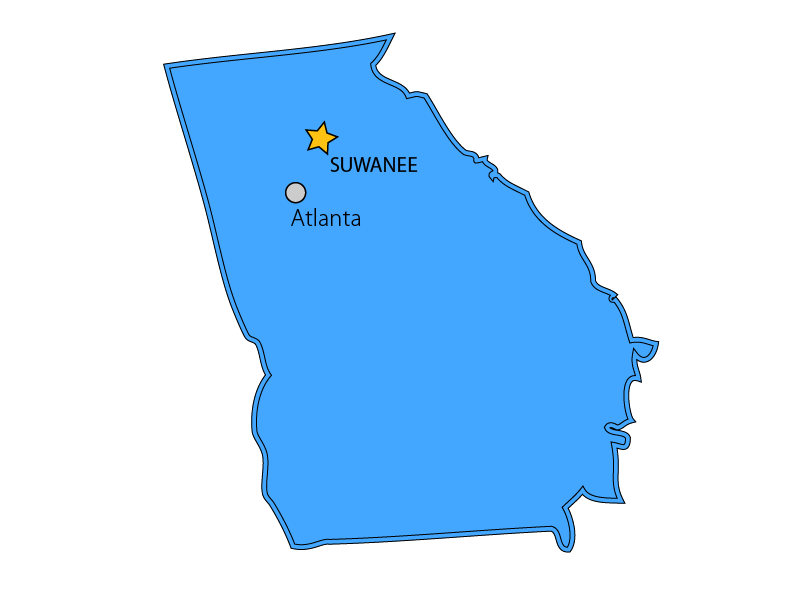 Unless you have been advised otherwise by a Georgia Expo team member, your order will be shipped as a single shipment, however, it is not uncommon for a shipment to become separated during shipping with parts of your order being delivered at different times. When your order has been shipped we will email you your shipment tracking information so that you may follow the progress of your order during the shipping process. If your order is a rush order let us know and we will quote you an expedited shipping rate. Unless specifically agreed to, in writing, Georgia Expo will not be held responsible for missed delivery dates on ground shipments or the performance of third parties including, but not limited to, shipping companies. In the event an expedited shipment is delayed, Georgia Expo’s maximum liability to you shall not exceed the value of the shipping charges paid by you. If your order is delayed and you choose to refuse your shipment or to return it, your order will be treated as a return under the terms stated on the Terms of Service page.